This page has learning resources for parents and children, health and safety resources, and assistance resources and information. 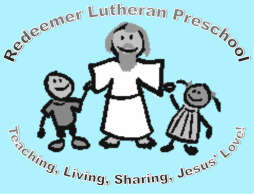 Click on the photo above to take a look at everything Redeemer Lutheran Church has to offer you! Bridge to Benefits is a multi-state project by Children's Defense Fund-MN to improve the well-being of families and individuals by linking them to public work support programs and tax credits. Department of Education – Parenting information, resources and activities Birth to 12th Grade. Early Childhood Family Education (ECFE) is a program for all Minnesota families with children between the ages of birth to kindergarten entrance. The program is offered through Minnesota public school districts. ECFE is based on the idea that the family provides a child's first and most significant learning environment and parents are a child's first and most important teachers. ECFE works to strengthen families. ECFE's goal is to enhance the ability of all parents and other family members to provide the best possible environment for their child's learning and growth. The Minnesota Department of Education provides support to local school districts to provide high-quality parenting education to families within their communities. ECSE programs provide supports and services to infants, toddlers and preschool children with disabilities and their families. The early childhood years from birth to the start of kindergarten are an important time of rapid learning and growth. Early Childhood Screening is a quick and simple check of how your child is growing and developing. Between the ages of 3 and 4, screening can detect possible health or learning concerns, so that children can get help before they start school. Safe Avenues - The Safe Avenues mission is to provide safety, support, and empowerment for victims of abuse and families in turmoil. emergency shelter, legal advocacy, referrals, transportation, public awareness and education, resources and materials, advocacy and support. Phones are answered 24 hours a day. Child Support: Child support is the contribution a parent makes for their children towards care, living expenses, and medical support. Kandiyohi County Child Support agency provides a variety of services to assist in the collection of child support. Report suspected child abuse and neglect IMMEDIATELY! Services are provided to families in which a maltreatment assessment found a level of risk to indicate the need for protective services. Our staff determines what services are needed to help support a family in need so they can safely care for their child. Services for families may include family counseling, parenting education, assistance in applying for financial benefits, helping a family access services such as early childhood or special education children, and/or helping the family meet basic need such as housing and food. Each family is unique, so child protection workers assess what services, if any, the family needs and makes every effort to provide the identified services that will best help that individual family, and in turn assure child safety. Services are provided to families which have requested assistance with family struggles such as truancy, parent/child conflict, child behavior concerns etc. Kandiyohi County Health and Human Services Intake Unit is available for consultation in helping families assess their needs. We may offer available resource and referral information and/or when appropriate, assist with an application for child welfare services. Services are provided to the minor parent and family which will assist the pregnant and/or parenting minor parent (under the age of 18) to establish a plan for herself and child to ensure their safety and well-being. Services are provided to Kandiyohi County children waiting for adoption. The adoption worker works diligently to locate permanent homes for the children and facilitate the adoptive process in a timely manner. The social worker also provide services to families who have adopted children in the past. Services are provided to families with school aged children that have been referred to our agency, as truant (after 3 or more un-excused absences). The social worker meets with the child and family to try to develop a plan to improve school attendance. Financial Support: Kandiyohi County administers many state and federal programs that provide aid for those in need. There are many different types of assistance programs that help with medical care, food, child care and much more. CCAP: Child Care Assistance Program: subsidized assistance program that helps to pay for child care services for people who are employed, look for employment or going to school. Minnesota’s Child Care Assistance Program (CCAP) can help to make quality child care affordable for income-eligible families. If you would like more information about the Child Care Assistance Program, please call Kandiyohi County Health and Human Services at 320-231-7800. MFIP: The Minnesota Family Investment Program (MFIP) is the state's welfare reform program. It helps families and pregnant women who have low income go to work and move toward financial stability. The program provides employment services and income assistance. The Diversionary Work Program (DWP) is a four-month program that helps Minnesota parents find jobs. The goal is to help parents quickly find work so that they do not need to go on the Minnesota Family Investment Program (MFIP). When families first apply for cash assistance, most will be enrolled in this program. Parents get help paying for housing and other bills, along with employment services to help them find full-time work. Licensing-Family Child Foster Care, Traditional Adult Foster Care, Corporate Foster Care for Adults and Children: Foster parents provide a temporary home for children who cannot remain in their own home. Care is given until their own parents can resume the parent role or until a permanent plan is made with relatives or adoptive parents. Sometimes foster families may be asked to provide a permanent home. While the child is out of the home, a case manager is working to provide services to the child and the family. Adult Foster care is a licensed sheltered living arrangement for adults who have special needs or impairments that makes it impossible for them to live alone. Adult Foster Care (AFC) means the provision of food, lodging, protection, supervision and household services to a functionally impaired adult in a residence. 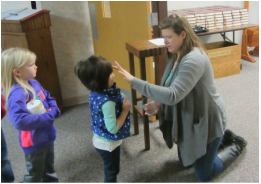 Family Child Care Licensing: Kandiyohi County Health and Human Services is responsible for the licensing and monitoring of family child care homes where children from more than one family and/or relatives are cared for in that home. In the State of Minnesota, a person may do unlicensed care if they care for relatives and one family. This includes the care giver’s own children. If a person is providing child care for more than this they are required to be licensed. The county conducts background studies and orientations for prospective child care providers, does in-home interviews and safety checks, recommends providers for licensure, and supports existing providers. Child and Mental Health: Mental health is how we think, feel and act as we cope with life. It also helps determine how we handle stress, relate to others and make choices. Like physical health, mental health is important at every stage of life. Staying mentally healthy is not always easy, especially during tough times. Getting support from family and friends as well as finding time to relax and take care of you can help. Regular exercise and a healthy lifestyle are also beneficial. Chemical Health Services: The Chemical Health Team in Kandiyohi County provides assessments for Kandiyohi County residents who have been court ordered to complete an assessment, commonly referred to as a Rule 25. We also provide assessments for persons who are seeking treatment for chemical abuse or dependency, on a voluntary basis. They must meet certain income guidelines or receive Medical Assistance (MA). We will also assist with referral to a treatment provider and prior authorization for treatment services. One of our goals is to also screen for related conditions such as mental health issues, domestic abuse issues and traumatic brain injuries. Aging & Disability: Kandiyohi County helps people of all ages and abilities find resources to live successfully in the community. The Home and Community Based Services unit can help you get started on finding solutions that will help you or a loved one live as independently as possible. Kandiyohi County Health and Human Services Family Health staff provides outreach, education, and connections to resources to families, schools and healthcare providers on issues related to maternal and child health, children's growth and development, special health needs, family planning, and environmental health issues. The staff help individuals and families access health resources, including free and low-cost health services. Family Health nurses provide information on pregnancy and newborns and contact all mothers of newborns living in the county to provide information on infant care, early attachment, post-partum depression and other related topics, and to offer referral services and home visits. Child Passenger Safety Seats Kandiyohi County Public Health occasionally receives child passenger safety seats from the Minnesota Office of Traffic Safety. These seats are available to low-income families. The seats are for children weighing between 5 and 100 pounds (about 0-8 years of age). Call Kandiyohi County Public Health at 320-231-7860 if your child is in need of a child passenger safety seat. Child and Teen Checkups Public Health provides outreach for the preventive healthcare program Child and Teen Checkups (C&TC). Minnesota's C&TC Program entitles children and teens, birth to 21 years of age, who are enrolled in Medical Assistance or MinnesotaCare to cost-free annual healthcare checkups. These checkups for infants, children and teens are thorough health checkups done by the individual's own healthcare provider. Follow Along Program: a child development tracking and early intervention program, is offered to all local parents of children ages birth to 3 interested in learning about their child's early growth and development. Immunizations, Disease Prevention and Control: Kandiyohi County Health and Human Services Public Health holds Immunization Clinics twice a month at the Health and Human Services Building. Refugee Health: Minnesota's Refugee Health Program partners with local health departments, private health care providers, and community organizations to offer each new refugee arrival a comprehensive screening examination, appropriate follow-up or referral and community-based health education.